Oscar Wilde famously quipped that he could resist everything but temptation. My own personal weakness is Paris. Although it’s been more than 20 years since I packed up my apartment on the rue Notre Dame des Champs and moved back to the States, I make sure to visit at least once a year. That way, I can pretend I never actually left. Paris will do that to you. But let’s face it – it can be a daunting place, whether your visit is long or short. My first six months there, I lost 10 pounds due to stress. 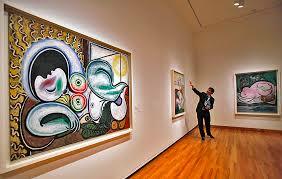 Hamstrung by rudimentary French, I committed gaffes both endless and epic. I ordered precisely the dishes that waiters told me they’d just run out of. I placed my sweaters on the dry cleaner’s counter, pointed at them proudly and said, “Skirts!” Most embarrassingly, I misread social cues at the office and inadvertently asked married women out on dates. They stopped talking to me. So, out of loneliness and frustration, I explored love on the rue Saint-Denis. “C’est combien pour faire l’amour?” I enquired of a fetching fille de trottoir. “Deux cent francs,” she replied. Two hundred francs. Then she looked me up and down again. “Attendez. Vous êtes Americain?” Wait a minute – you’re American? “Trois cent francs.” Three hundred francs. Who says the French don’t have a sense of humor? I can’t help you with language and les femmes, but here’s a brief guide to keep you focused and sane if you visit. If you’re looking for the latest discoveries by peripatetic hipsters, look elsewhere – to Bon Appètit, Travel + Leisure or the many Paris blogs published by expats. Most of the recommendations that follow are classics, and I think they still stand the test of time – like quality bourbon or a good spouse. First, you need a bed. My go-to place for 20 years has been the Saint-Grégoire, a four-star boutique hotel in the 6th arrondissement. François runs it, and he’s one of the coolest, most knowledgeable and welcoming people I know. He sends me Christmas cards each year, and how many hoteliers do that? Most of all, I like him because he once told me I was a Left Bank sort of guy. Request a room on the front; they’re bigger and brighter. And skip the breakfasts; you’ll do better, and have more fun, by ordering café crême and croissants around the corner at L’Horizon. And by all means, go soon. François told me he’s thinking of retiring. Once he does, I’ll begin looking for a new favorite hotel. Now, you need a walk because, above all, Paris was made for flâneurs. 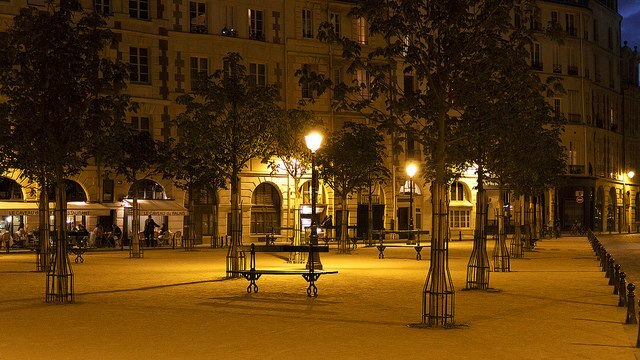 The Saint-Grégoire is located between the Jardin du Luxembourg and the grand cafés of Boulevard Montparnasse, and the natural inclination will be to head north, toward the river. Aim for the rue de Seine, rich with art galleries. Stop for coffee or lunch at La Palette, at the intersection of rue de Seine and rue Jacques Callot. The food is good, and you might see the odd movie star. As you wander this neighborhood, take some time to look for the Place de Furstenberg, a pocket-sized square of such infinite charm you’ll swear Hollywood designed it as a movie set. Don’t confuse the vedettes with the bateaux mouches, the term now synonymous with most Seine cruises. The bateaux moor near the Pont de l’Alma, and specialize in expensive dinner cruises. They may scream ‘tourist’ louder than anything, but they’re fun, too, especially if you’re showing someone Paris for the first time. My mom had a blast. Upon disembarking from the vedettes, look directly across the Pont Neuf for the leafy and tranquil Place Dauphine. It doesn’t make itself obvious – the entrance is tucked between two stately brick and stone manses – so the impression, once you’ve found it, is that of having stumbled on a secret garden. The surrounding buildings screen out the city noise so effectively that, with a little imagination, you’ll swear you’ve stepped back in time by 200 years. The restaurants in the square are too touristy for my taste, but the wood and wrought-iron park benches are a magnificent place for an impromptu picnic and a bottle of champagne. I highly recommend Pommery Brut – a choice based on four years of extensive taste tests. From there, head southeast through Île de la Cité toward Île Saint-Louis. As you cross the bridge to the city’s ‘second’ island, you’ll find La Brasserie de l’Isle Saint-Louis, whose terrace commands a view of the river, the Quai de la Tournelle with the dome of the Pantheon above, and even a bit of Notre Dame. In true brasserie fashion, it offers such classics as cassoulet, steak tartare and my favorite, choucroute garnie, in a casual, shared-table dining room that remains utterly without pretense. Not quite meal time? Grab a stool at the well-worn wooden bar, next to the stately and antique chrome samovar that presides over all. Order a draft Mutzig or two. This is where you’ll find me on any given rainy afternoon. I drink Manhattans there, partly because the bartenders treat their craft très sérieusement, but also because it’s where I had one of my first dates with Brigid, now my wife of 20 years. Check out La Closerie’s stylish website, with soundtrack (click ‘Piano Bar’), here. La Closerie serves elegant and expensive meals in in its dining room, and more reasonably priced fare in its brasserie, but it’s never been one of my destination points for food. And much as I love and admire the constancy of Paris, assured that my favorite places won’t disappear in favor of tomorrow’s fad, I do search out new restaurants on every visit. 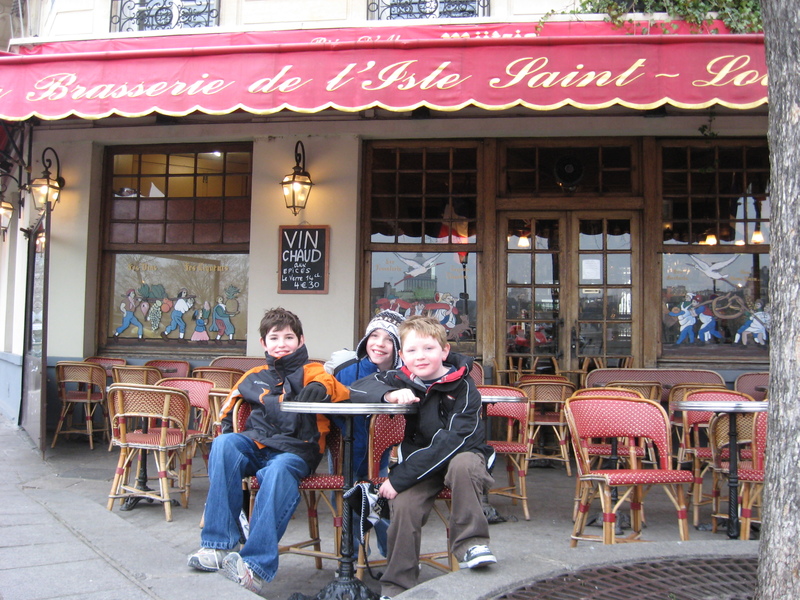 My latest expedition was to Bistro Paul Bert, in the 11th, between Place de la Bastille and Nation. I don’t know how I’d missed it before. Big steaks, brusque waiters, terrace tables and impeccable bistro décor – Paul Bert elicits either gushes or disdain. I loved it. You won’t be the only American there, but who cares? Good as Paul Bert is, it can’t touch my favorite, Au Moulin à Vent, on rue Fossés Saint- Bernard in the 5th. Weirdly, it’s also known as Chez Henri, so look for both names when you go searching. Despite its double-barrel branding, I don’t often encounter it in Paris guidebooks, which makes it seem that much more personal. How did it escape the perusal of dedicated foodies? It’s exquisite – intimate, friendly, uniformly excellent. May I suggest the frisee salad with bacon and a soft-boiled egg, followed by the chateaubriand topped with grilled shallots? Other classics include frog’s legs and snails. 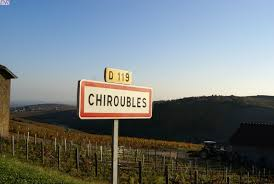 The house wine is a Chiroubles – a somewhat lesser-known but highly drinkable Beaujolais. One autumn weekend many years ago I rented a car and drove down to Beaujolais to tour the vineyards. I eventually found one open, and talked the proprietor into a personal tour and tasting. Imagine my surprise and delight when I discovered that he made Chiroubles, and that one of his major customers was – you guessed it – Au Moulin à Vent. If you have more time, I also recommend Chez Denise, near Les Halles; Chez L’Ami Jean, in the 7th; and the Jules Verne, on the second level of the Eiffel Tower, if you’re feeling flush. Enough about food. What about food markets? If it’s Sunday, you’re in luck: Just down the street from the Saint-Gregoire is the trendy Marché Biologique Raspail, or ‘Marché Bio’ (‘marsh-ay bee-oh’), ‘biologique’ translating to organic. Open from 9:00-1:30 – and only on Sunday – the market offers the very best in hand-made cheeses, breads and charcuterie, fresh fish from the Breton coast, riotously lush vegetables from across northern France, beef and pork from blue-ribbon cattle and pigs… the choice is endless. Some vendors travel literally hundreds of miles to set up their stalls each week. The only other market that gives the Marché Bio a run for its money is the Rue Mouffetard. I’ll admit I’m biased – I lived smack in the middle of it for two years, at Number 128. Although my apartment and garden sat two courtyards back from the street in complete tranquility, opening the door onto rue Mouffetard immersed one immediately among bakers (both of bread and the dessert specialists known as pâtissiers), butchers, vegetable stands, cheese shops, fishmongers, and the crowds flowing downstream from Place Contrescarpe toward the Square Saint-Médard. “This is just like a James Bond movie,” marveled my friend Marty as he emerged onto the street for the first time. Within a circumference of 100 yards, I could purchase fresh oysters, wild boar, rabbit, horsemeat, 300 kinds of cheese, baguettes, crossaints aux amandes, honey made from lavender (and solely from lavender, or any of a dozen other flowering plants), white truffles, black truffles, and a host of cooking tools, from soufflé dishes to snail tongs, in which to prepare and serve it all. It was, and is, a magical place, engendering a deep love for food – so much so that one evening, finally convinced that I am what I eat, I sat down and made a detailed and thorough list of the contents of my refrigerator. I have it to this day. You’ll find dozens of restaurants at the upper end of rue Mouffetard that capitalize on the market’s history and popularity. Avoid them, unless it’s late, you’ve drunk too much, and you need a kebab for ballast. By contrast, Le Mouffetard, at the junction of rue Mouffetard and rue de l’Arbelète, is one of the few places that takes its food seriously. I used to eat lunch there almost every Saturday, but my favorite memories are of early morning, as the shopkeepers opened the market. I would share the bar with rosy-faced butchers – me with my espresso, they with their glasses of sauvignon blanc. Note that the market is closed on Sunday afternoons and all day Monday. Your weekend is running out, but there’s still time for a couple of cultural pursuits – lest you think I’m both a gourmand and a philistine. Places like the Musée D’Orsay and Louvre require significant commitment; much more manageable is the often overlooked Musée Marmottan Monet, in the 16th, which boasts an impressive collection of Impressionists and post-Impressionists. And, of course, you have to visit the Musée National Picasso, housed in an elegant mansion in the 3rd – if only to say you did. It’s all the rage these days, having recently reopened after a multi-year facelift. Personally, I found the new space utterly devoid of the charm and intimacy that once made the museum my favorite in Paris. That said – and ignoring that all his most famous pieces are to be found in other museums – it demonstrates the remarkable breadth of the man, whose vision found art in the simplest objects. Goodness, I haven’t mentioned anything yet. 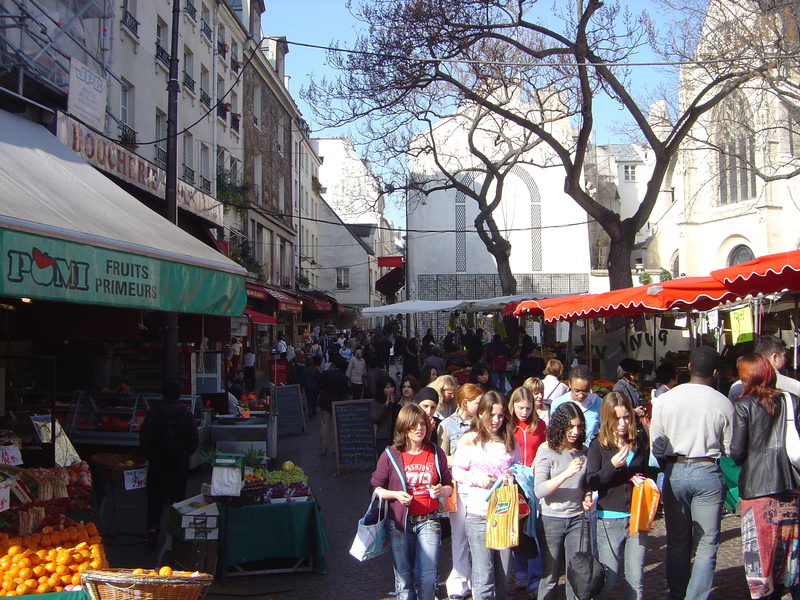 Not horse racing at Auteuil, or guinguettes, midsummer night’s festivals, the Dehillerin kitchenware bazaar, shopping on rue Faubourg Saint-Honoré, sewer tours, the Catacombs, or even the joy of riding around aimlessly on city buses. The history of France is the history of Paris, they say – and so, endlessly rich. Bon vivant? Boulevardier? Incorrigible romantic? This is the place for you. Pack your bags and route yourself through Charles de Gaulle. Disappear into the city for 48 hours. Don’t tell anyone; you’ll be back before they notice. Because, as Audrey Hepburn said, Paris is always a good idea. I also love Paris and have shared many of these special places with you. My favorite hotel is the Grand Ecole in the 6th not far from Rue Mouffetard. Try it the rooms are a bit tight but courtyard and friendly staff can’t be beat.